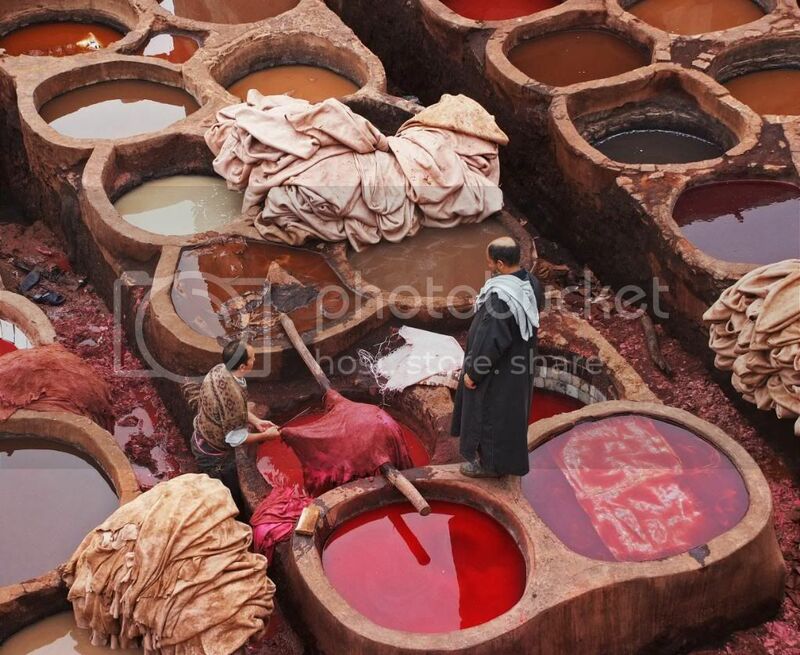 Morocco, Fez - where is Bob? 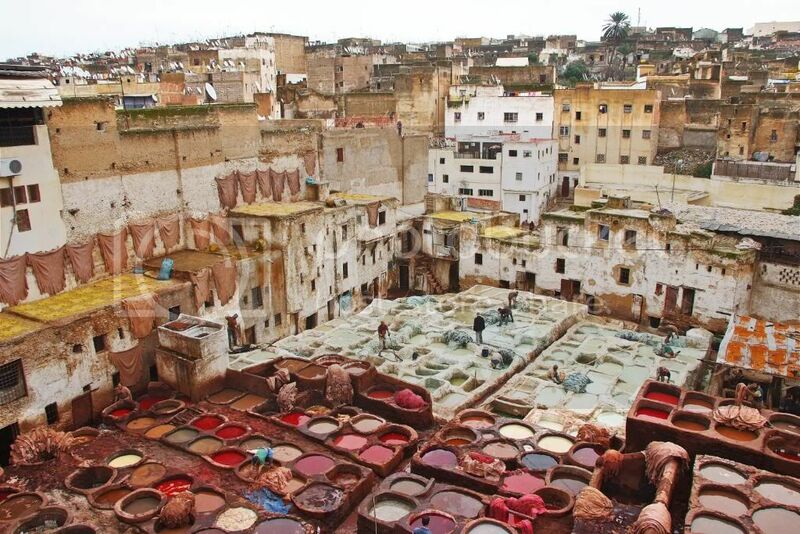 Fez is one of the most important cities of Morocco. It has the world's largest medina and it is a unique place to photograph. Fez being as big as it is, can't be fully portrayed in a single entry. 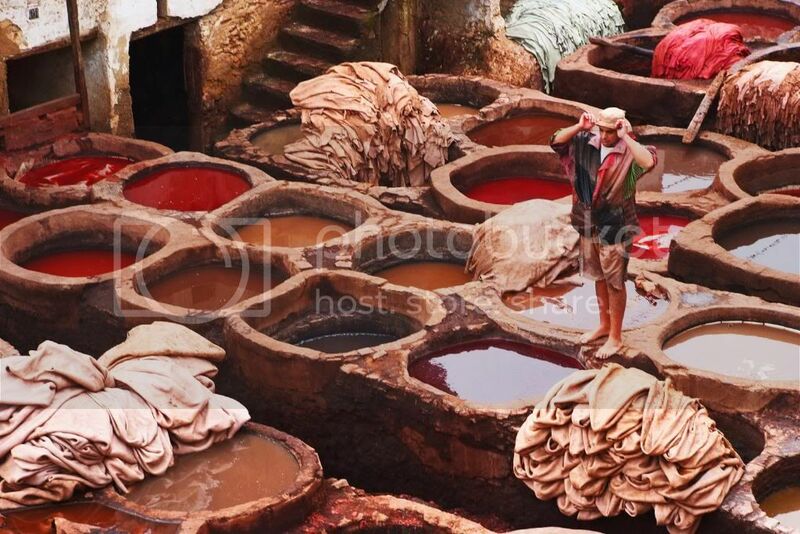 This is why I decided to post this "tanneries" special, to make people realize how beautiful and picturesque this place really is. 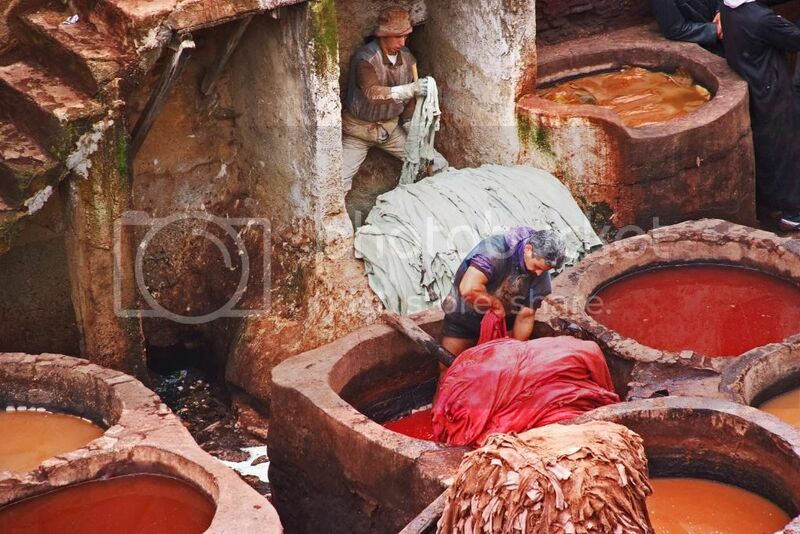 A tannery is a place where animal skin is treated, and in this case colored, in order for it to become leather. Animals range from goats, camels, sheep etc. 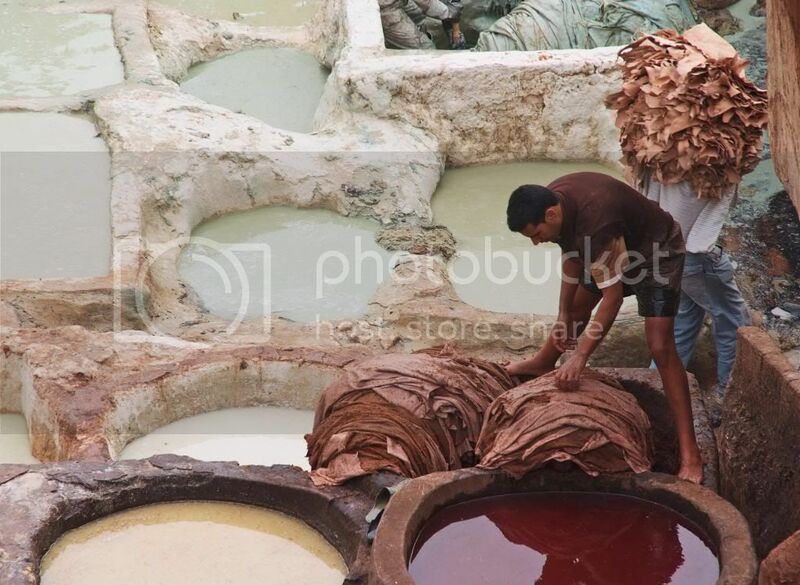 The Fez tannery photographed is the oldest one in the world, dating back to the 11th century. 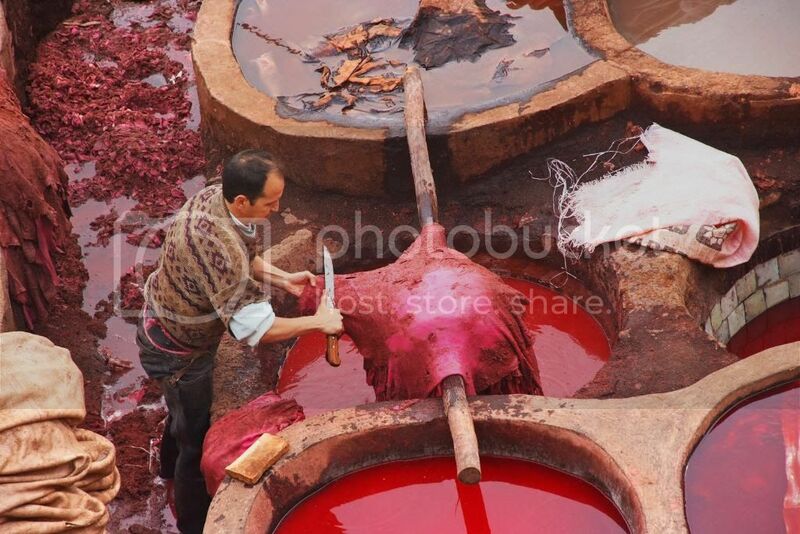 Walking around the Fez medina, you can tell you are around a leather souq because of the smell of dead animal skin. 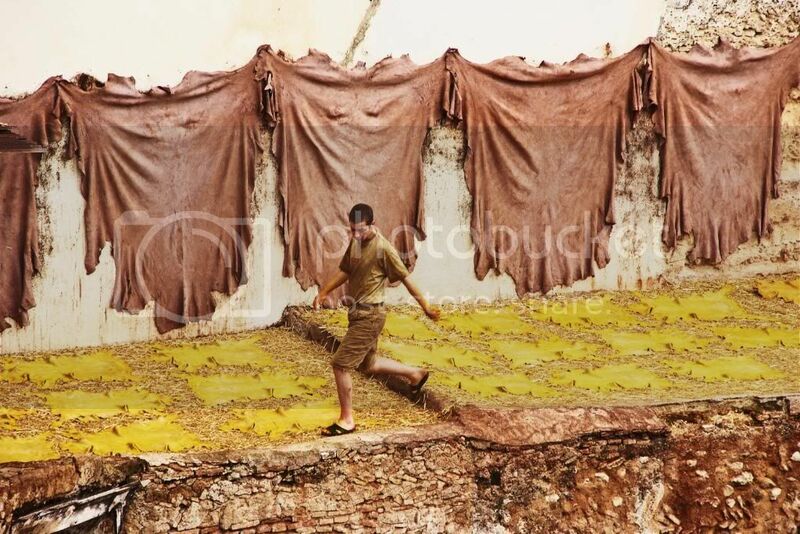 Once you are taken into the balconies that overlook the tannery, you are given a leaf of mint, so it helps with the smell. 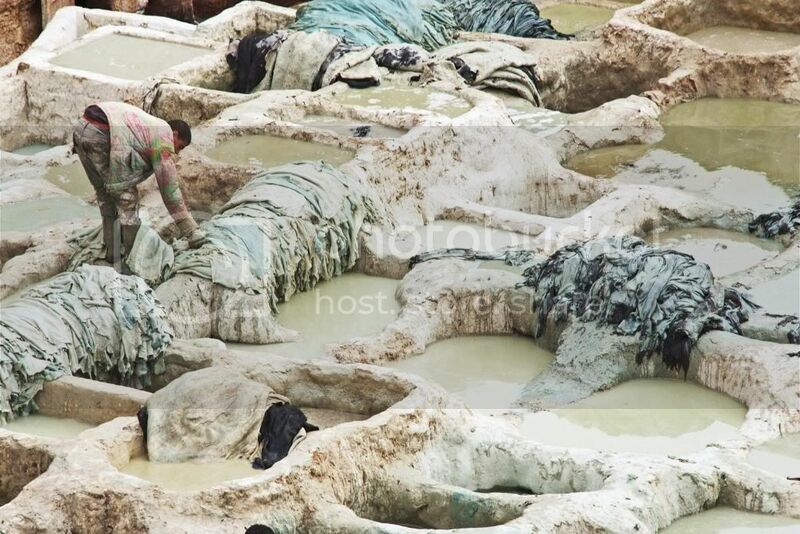 Once you go through thousands of bags, shoes and jackets, you finally get a glimpse of this place and personally, it has been one of the most eye opening places to see. It really is like anything I had ever seen before, and it made me feel like I was going through time. this is the first sight from the balcony, like I said... like nothing I had ever seen before, truly amazing. a true craft, no machines, no nothing.